Avocados are a super-nutritious, wonderful food. They are actually a fruit and not a vegetable, and these delicious, creamy fruits have great benefits for health. In comparison with any other fruit, avocados contain more protein, potassium, magnesium, folic acid, B vitamins, Vitamin E and vitamin K. These nutrients, along with their high content of oleic acid, make the avocado a powerful antioxidant that has been found to protect against heart disease, stroke and some forms of cancer. Although avocados are one of the few fruits that contain fat, they contain mainly heart-protective monosaturated fats. These are simple fats that are high in the antioxidant, Vitamin E and are actually beneficial for health, unlike artificial trans fats or hydrogenated fats. Adding naturally fatty foods such as avocados to the diet has been found to increase nutrient absorption from foods. 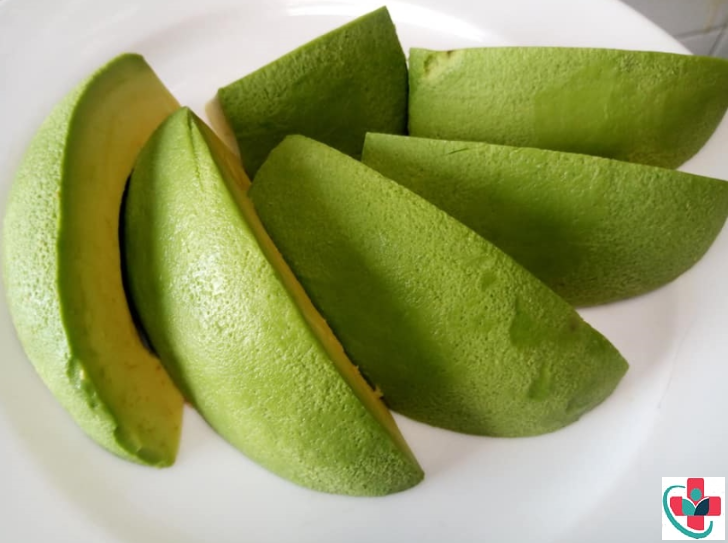 In fact, eating an avocado with another salad or vegetable results in the body absorbing four times more lutein, eight times more alpha-carotene, and 13 times more Beta-carotene, which are all excellent nutrients for eyes. The healthy fats provided by avocados also help to improve the mood and keep you feeling happy. These fruits are rich in tryptophan, along with vitamin B and folic acid, which helps the body turn tryptophan into the feel-good chemical serotonin. Scientists have also found that people are more relaxed and feel less pain after eating a high-fat meal. Avocados are an excellent source of Vitamin E, an antioxidant that neutralizes the damaging effect of toxins in the body and boosts resistance to infection. Vitamin E is also an important nutrient for fertility; it has been found to improve sperm quality in men and balance hormone production in women, leading to increased fertilization rates. Mashed avocado is an ideal food for anyone who is unwell or recovering from an illness, especially children. It is easy to digest and is a rich source of natural antibiotic and antifungal chemicals. READ ALSO, Why avocado must be part of your child's diet. Along with their numerous benefits for a healthy body on the inside, avocados also help to improve and maintain healthy skin on the outside. Their natural oils and vitamins A and E are antioxidant, and therefore prevent premature aging of the skin and the formation of wrinkles. When applied externally, a purée of avocado mixed with live yogurt makes a fabulous face mask for cleansing and nourishing. It will increase the amount of collagen in the skin, helping to keep it looking clear and youthful. Avocados have a smooth, buttery texture and mild, creamy taste, and are best eaten when ripe. An avocado is ready to eat when it is soft to the touch. To ripen a firm avocado, store it at room temperature for a few days. Stop an open avocado from turning brown by sprinkling it with lemon or lime juice, and leaving the stone in. SEE: Everything you need to know about where and how to store the food in your kitchen. Need a quick use for a ripe avocado? Check out these five easy ways to eat a delectable fresh avocado. Just an Avocado: For avocado purists – eating a half of a plain avocado sprinkled with lemon juice or your favorite seasoning is all you need. Try a little paprika or balsamic vinegar for an added twist. As an Avocado Spread: Spread an avocado on toast, for a rich and velvety, cholesterol-free topping. Guacamole or Avocado Dip: Even one avocado can make a great snack with chips or veggie sticks. Diced or mashed fresh avocados make one fantastic dip. Sandwiches & Burgers: From bacon, lettuce, avocado, and tomato sandwiches to lush avocado burgers or avocado wrap – avocados add creamy flair to any sandwich. Looking for more ways to enjoy avocados? Keep checking out our recipe section for more ideas on how to use avocados every day and simple avocado uses.